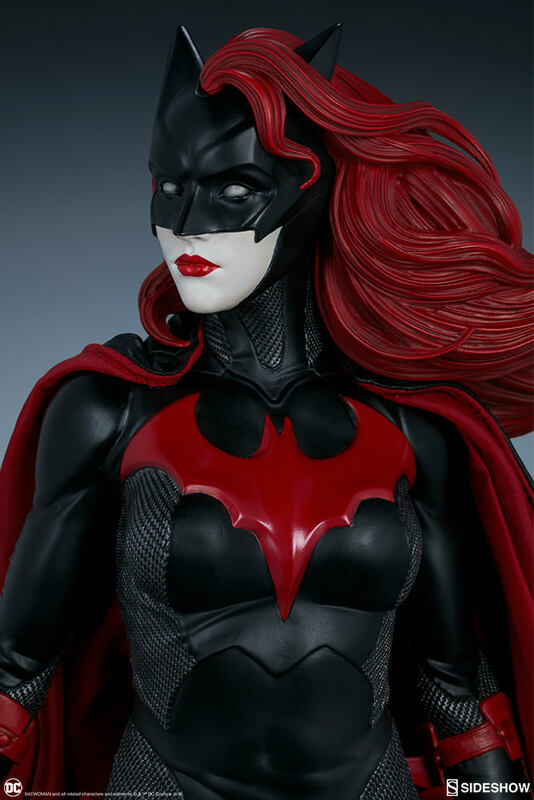 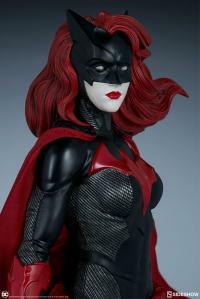 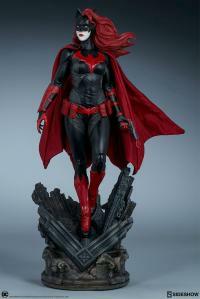 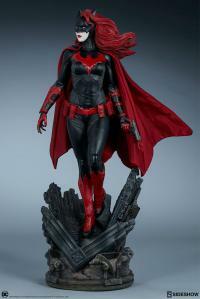 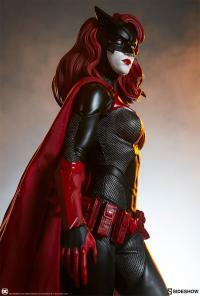 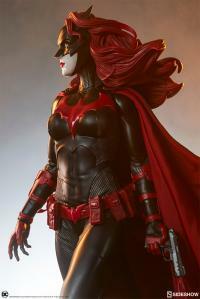 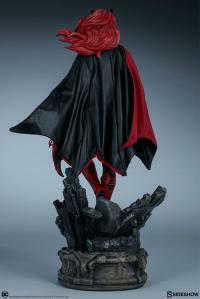 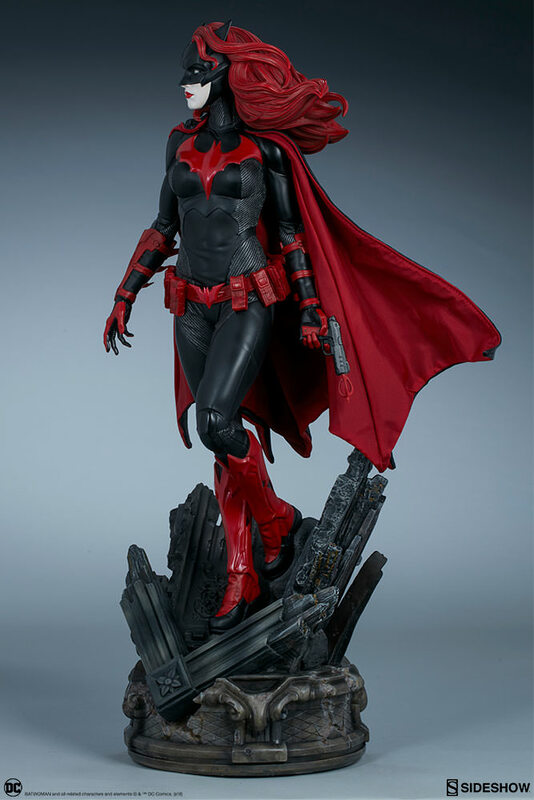 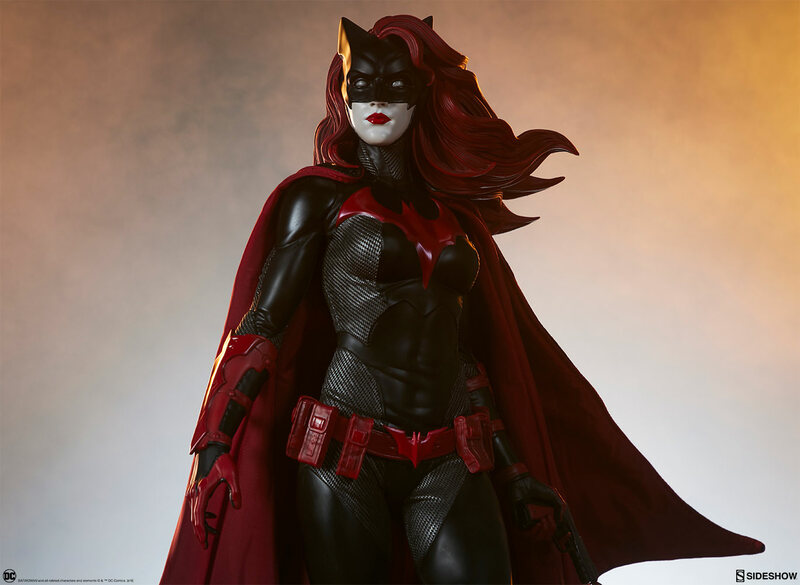 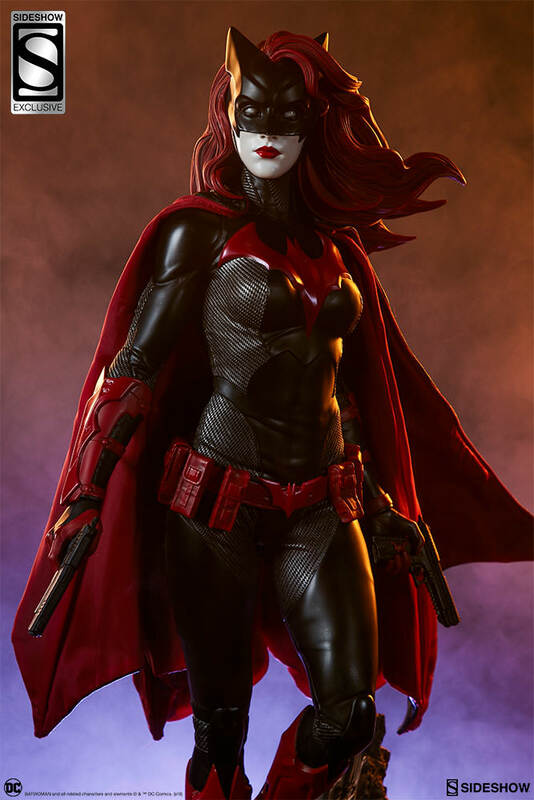 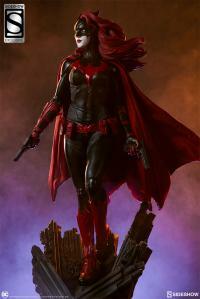 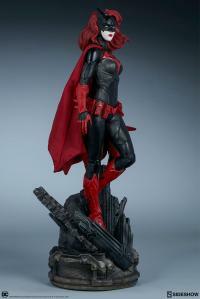 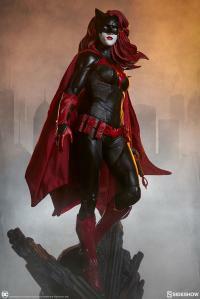 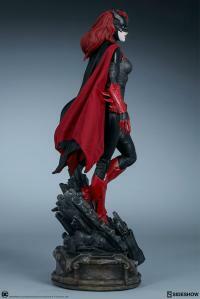 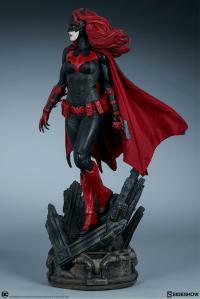 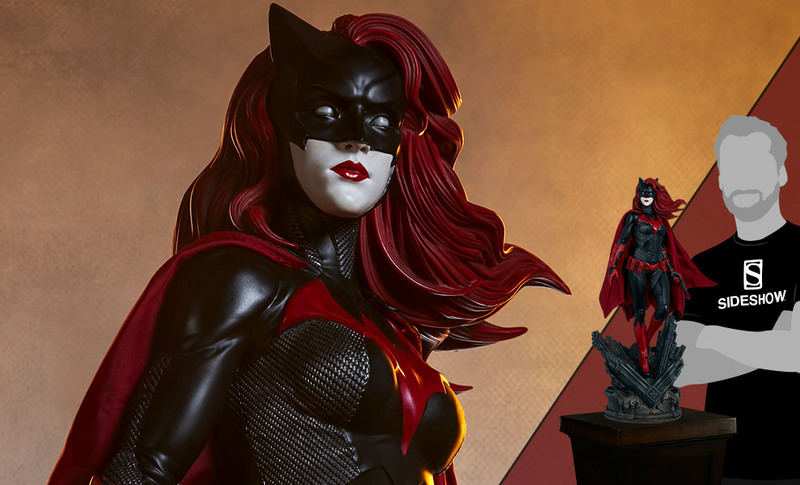 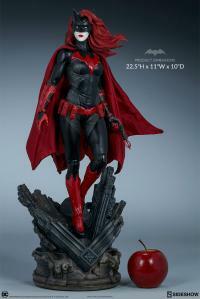 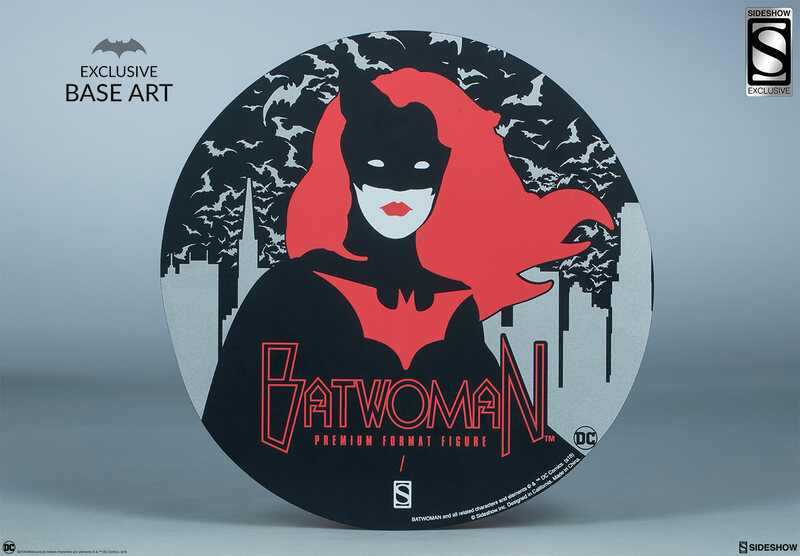 New age of crime, meet the new age of crimefighter- Sideshow is proud to present the Batwoman Premium Format Figure. 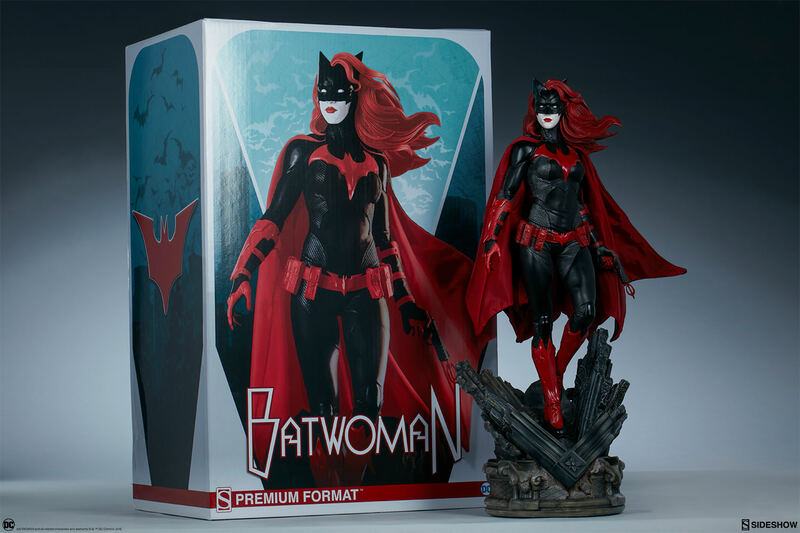 The Batwoman Premium Format Figure is ready to defend Gotham city with her own tactical brand of justice. Fans familiar with her heroic origin may recognize the rubble of the destroyed Gotham apartment building base. 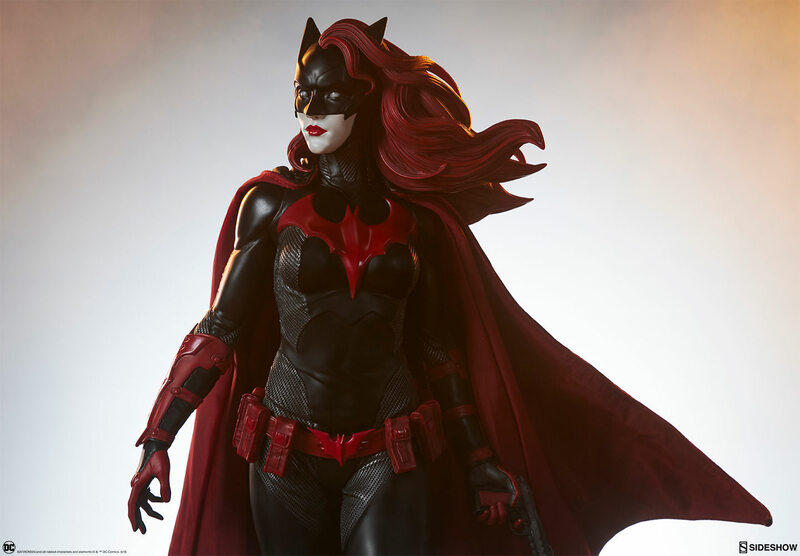 Batwoman’s striking red and black costume mixes military grade armor and weaponry into its sleek design. 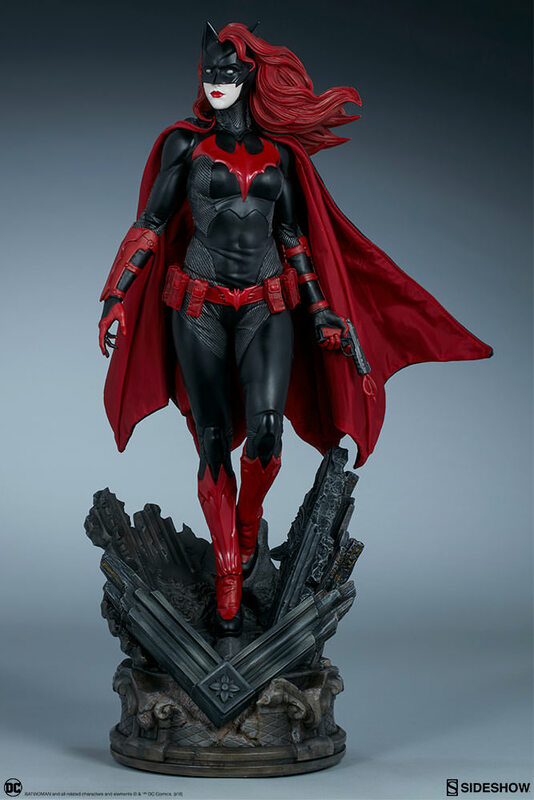 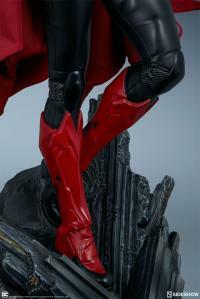 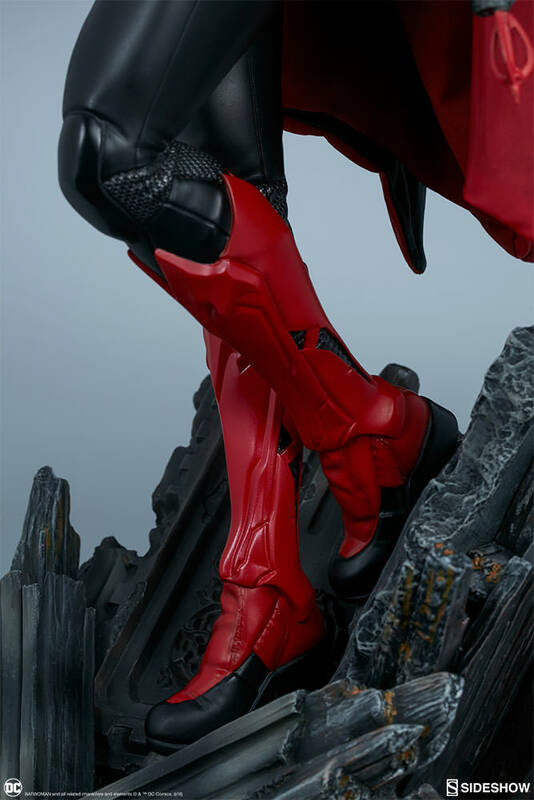 Her sculpted suit has unique textures and detailing to reflect the reinforcement of her armor, which is emblazoned with a vibrant red bat symbol on the chest. 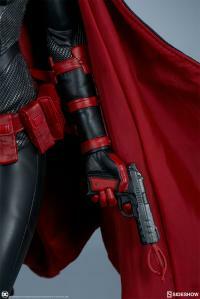 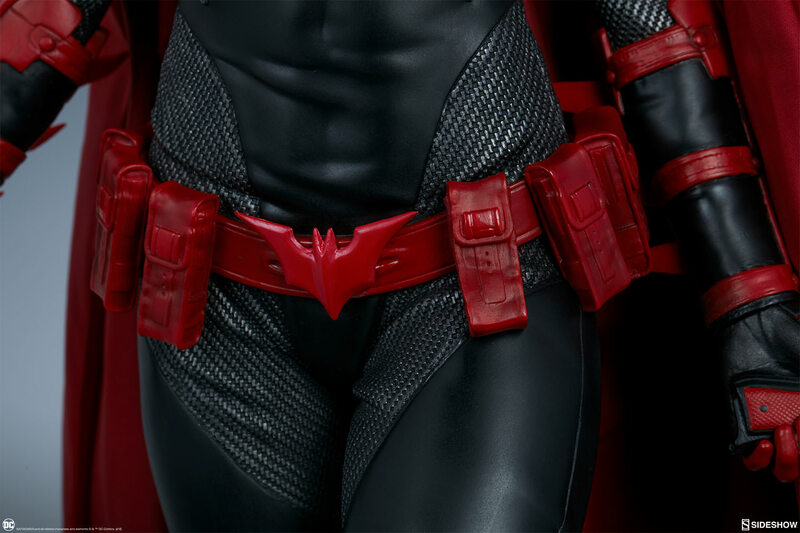 Batwoman is equipped with a utility belt, boots, gloves, gauntlets, and a grappling hook all in her signature style. 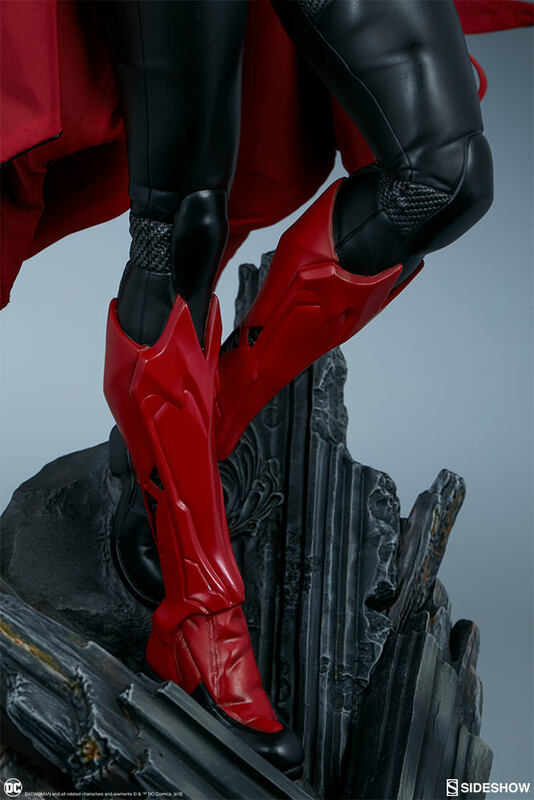 She also has a tailored fabric cape with a black exterior and red inner lining, and wiring to allow custom cape poses when displaying the piece. Cloaked in darkness by her batlike mask, Batwoman leaves the criminals of Gotham to wonder if she is some strange, supernatural spawn of the night. 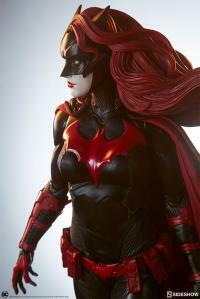 Bright red lipstick and flowing hair create a stunning visual contrast to her pale portrait. 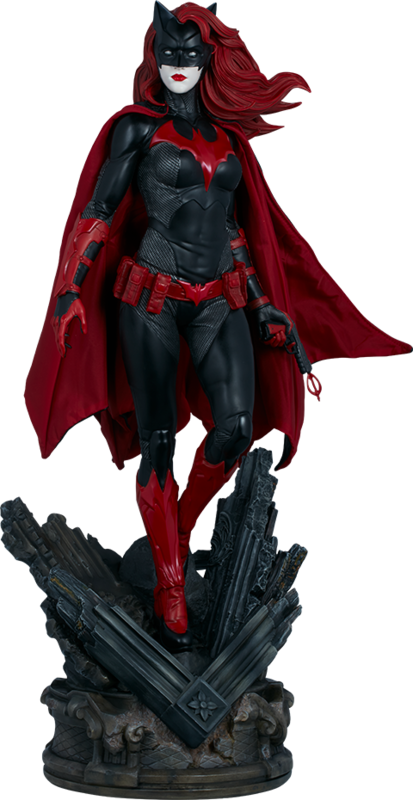 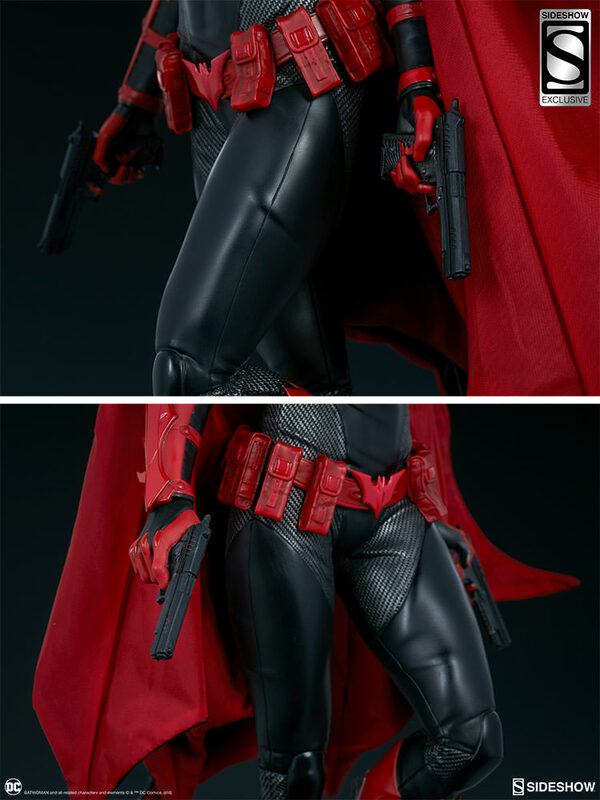 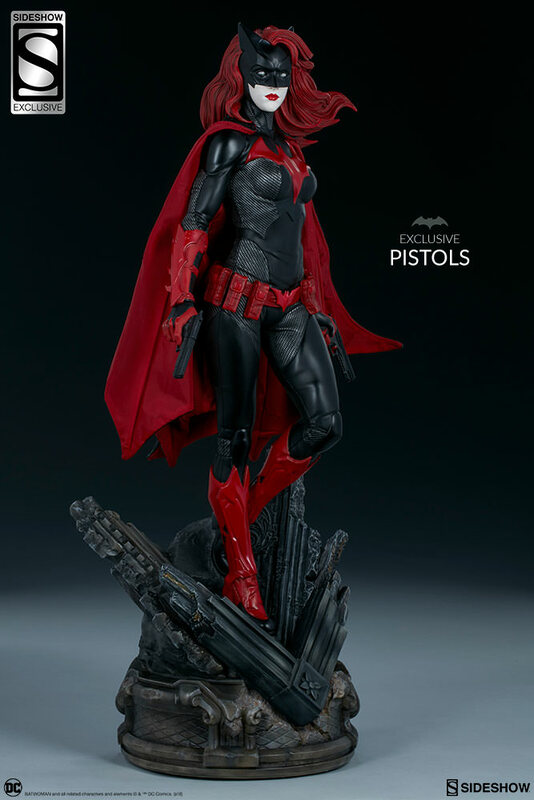 The Exclusive edition of the Batwoman Premium Format Figure includes a pair of swap-out hands holding pistols, which Batwoman uses to aid her in battle. 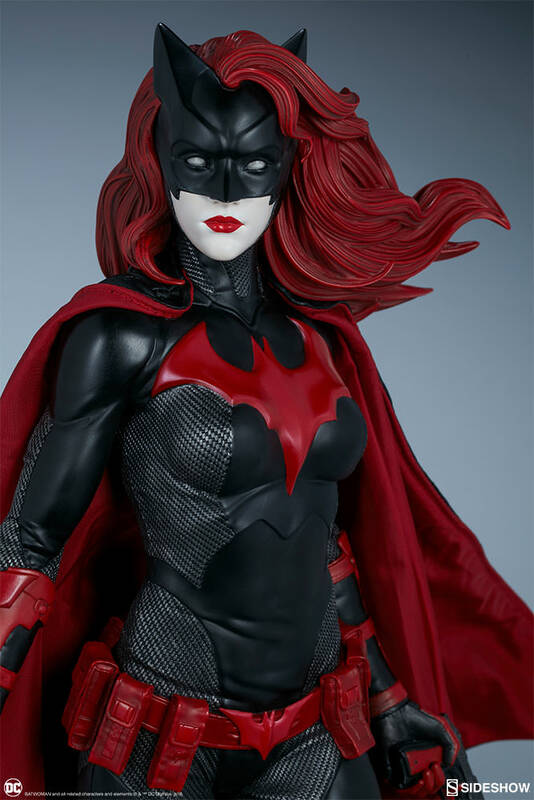 Pay as little as $147.00/mo. Some pieces you have to see in person.... this is one of them. 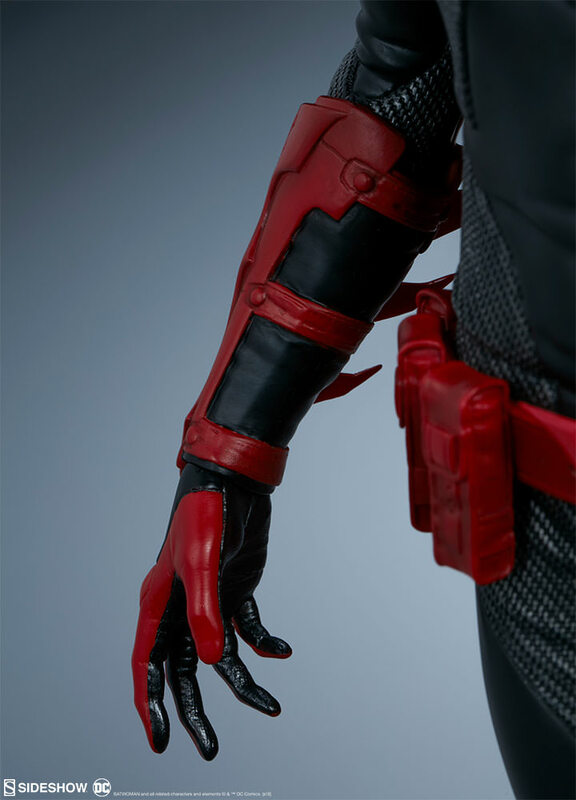 The hot red and black contrast so well. Love the carbon fiber look on her outfit. 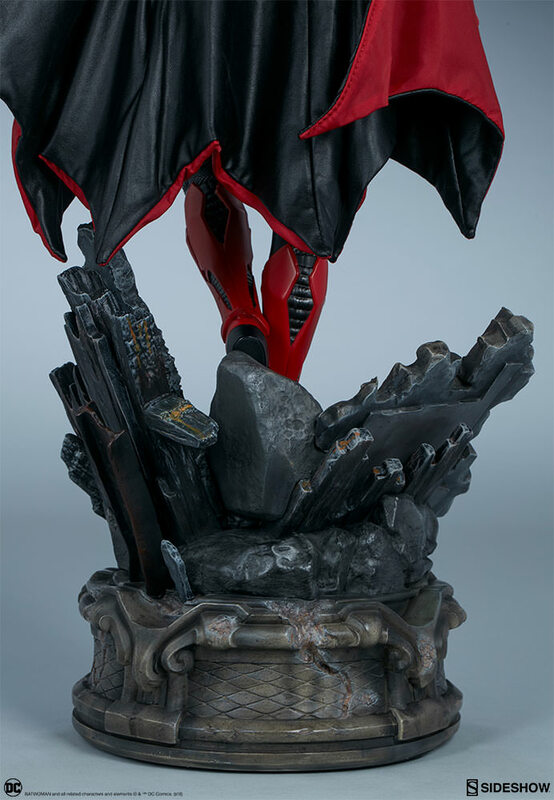 The base doesn't take up a lot of real estate and has some nice details on it. Glad to have her in my collection. Well done Sideshow!! Keep them coming! 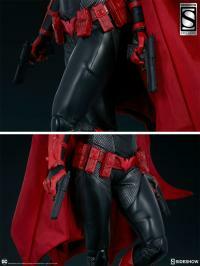 Would love to have a Red Hood PF to pair with it.... hint hint! 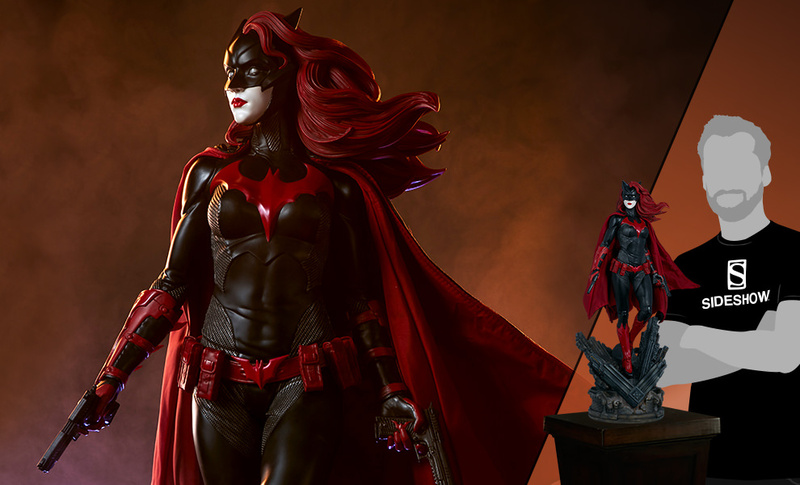 Outstanding piece! 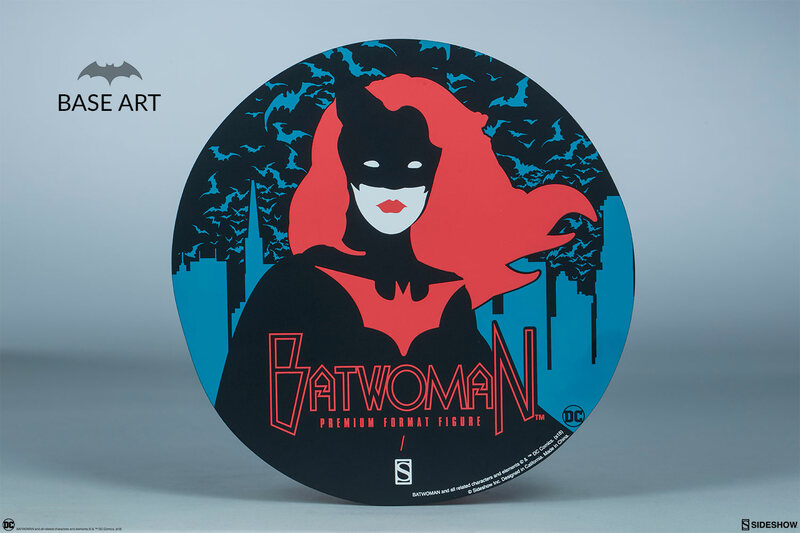 Terrific companion to the Batman and Superman PFs. 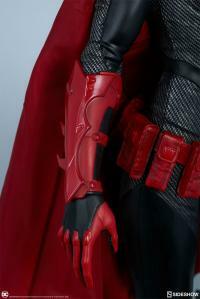 Only concern was the hand attachments are small and they seemed a bit loose but they look great and have stayed in place well. Beautiful piece! 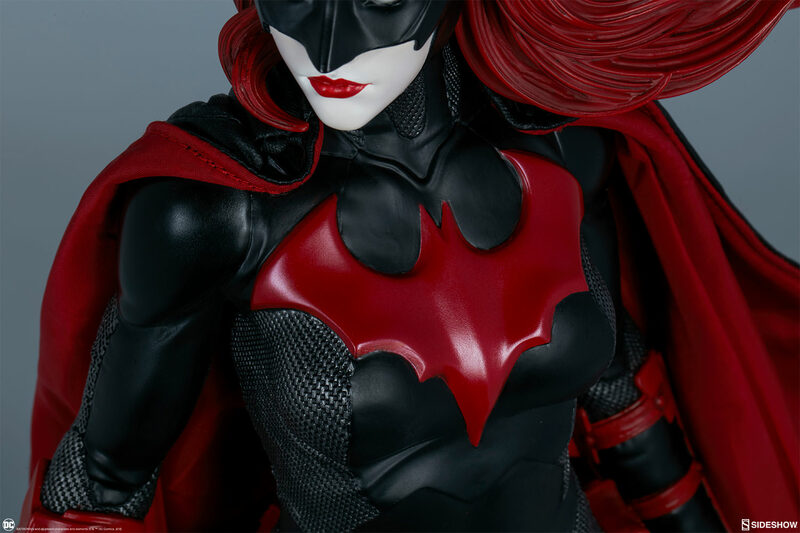 Batwoman arrived in perfect condition, and the production piece looks very close to the prototype. 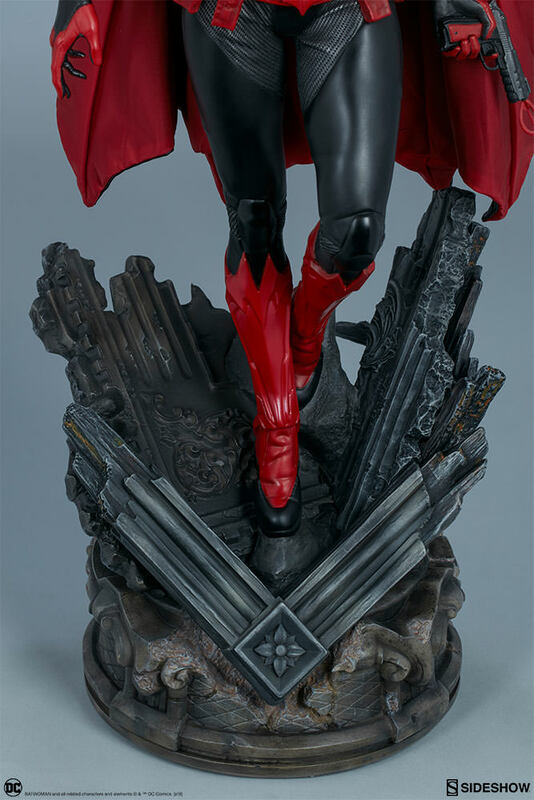 It's an impressive piece. The way her cape goes on is an improvement over prior statues.